Hello there all my 36th Avenue friends! I’m so happy to be here this glorious fall day! 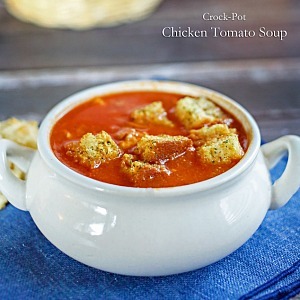 I just had to take today to share with you my latest creation – Crock Pot Chicken Tomato Soup. 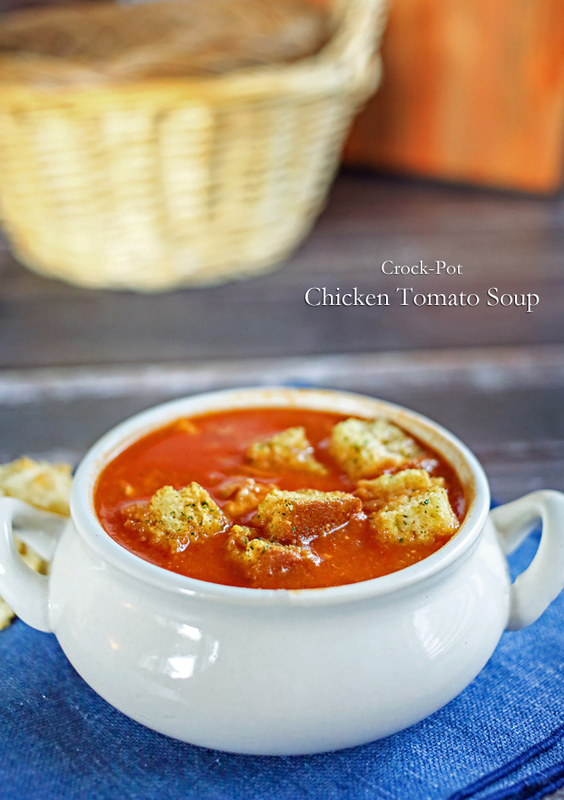 It’s simple & easy & yet packed full of hearty goodness. Perfect for these chilly days. Up here in North Idaho the weather definitely knows what the calendar is doing. Seemed as soon a the date said it should be fall- the cooler temps followed right along. That means I am in crock pot soup mode around here. 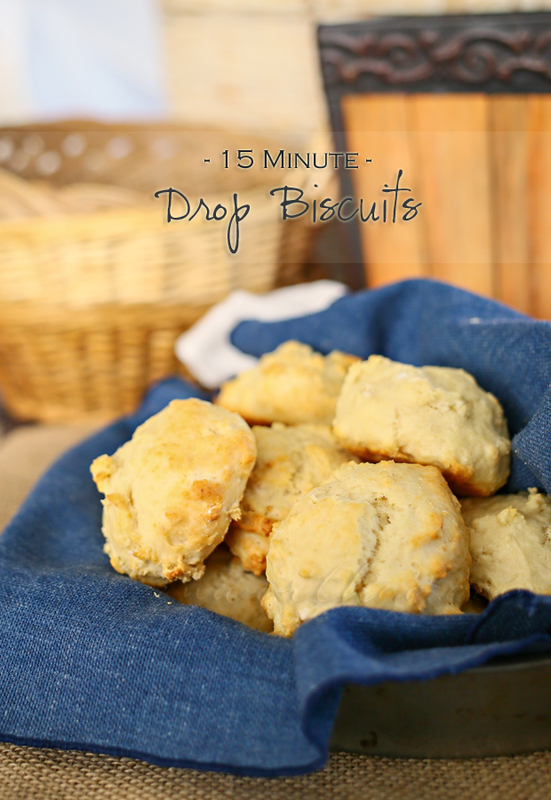 We paired ours with some homemade drop biscuits & a side salad. Definitely filling. I love it when I make something & the hubs takes a taste & says “oh, that’s really good. Don’t change a thing.” Then I know it’s a true keeper. He’s actually the chef in the house while I like to stick to baking & goodies. We make a good pair. But he can’t always be here to cook with his crazy schedule. So that’s where the trusty crock pot comes into play. 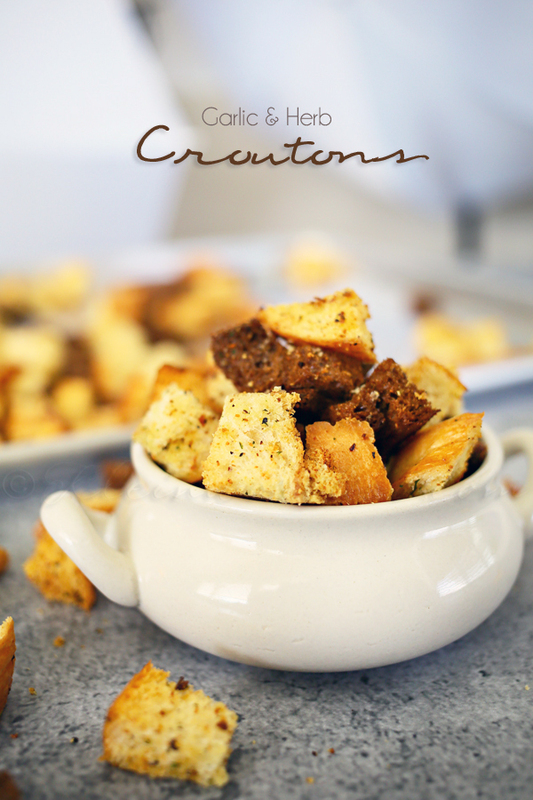 garnish with croutons & Parmesan cheese when serving. 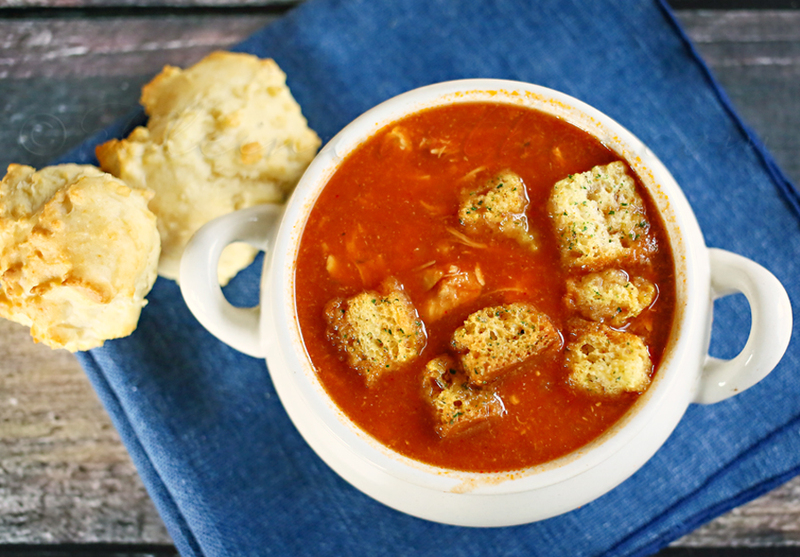 Here’s the recipes I paired with this soup! 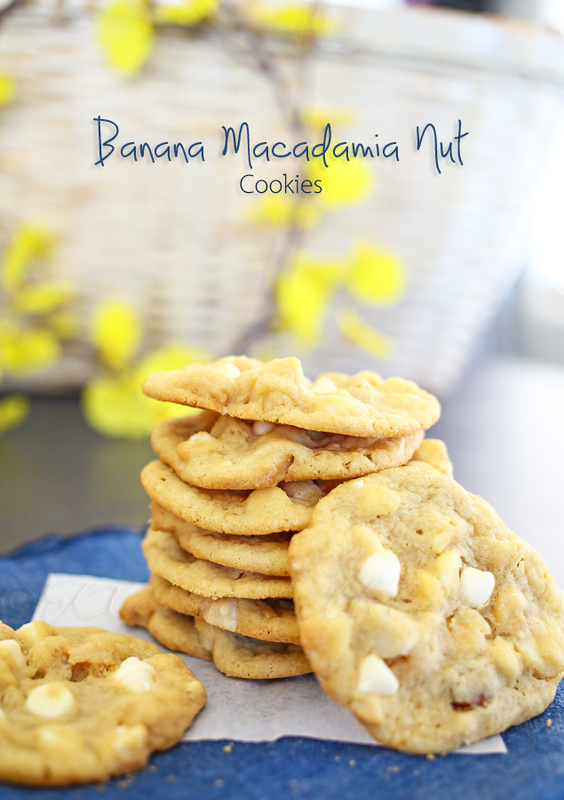 Then for dessert we enjoyed these…. Thank you so much for visiting with me! I love spending my day with you all! YUMMY!!! 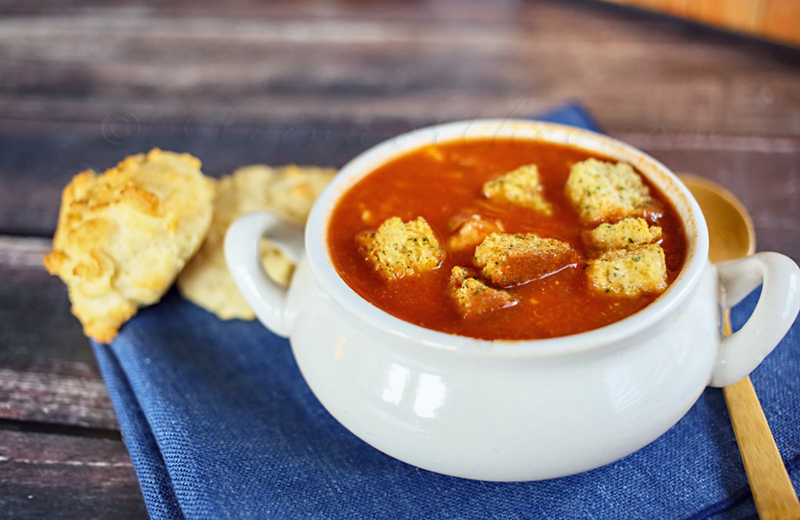 LOVE Tomato Soup – definitely going to try this. 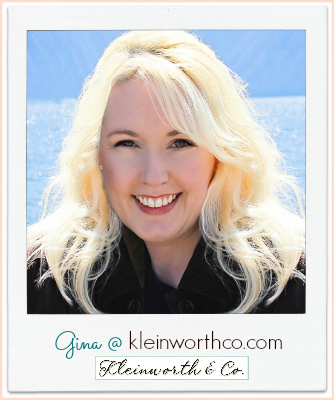 Thanks, Gina! !